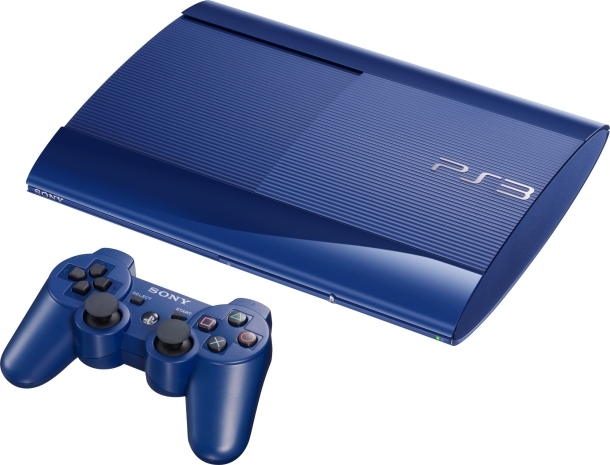 Sony unveils an array of new colors for the super-slim PS3 as gamers clamor for a next gen console. Seriously, Sony? We know you want to milk the PS3 for every dime shes worth before moving on to bigger and better things (PS4, anyone? ), but this is getting to be a little much. In what seems to be a last ditch effort to slap some appeal and marketability on the ever-aging PS3, Sony has decided to produce the console in color. On the heels of last week’s announcement that the white super-slim PS3 was to be sold in the U.S., Sony’s Japanese PlayStation division announced the color availability. Azurite Blue and Garnet Red super-slim PS3 consoles are available for purchase in Japan and Germany and even though they haven’t made their way to the U.S. yet, it is assumed that it won’t be long. and one color matching controller. The release date in Japan is February 28th. In Germany, however, the price is significantly higher. 329.95 Euro (About $439) is all that stands between European buyers and the colorful consoles, however, they get a 500GB hard drive and 2 controllers instead of the one. February 28th is the European release date also. 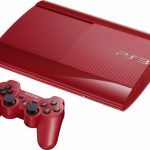 Sony hasn’t commented on U.S. availability or price yet, but it seems to be generally assumed that the colorful consoles will be available at the normal PS3 retail price of $299 whenever they do arrive. Would you spring for a colored PS3 super-slim console? Do you think Sony is trying to resuscitate the aging console? Let us know in the comments below!